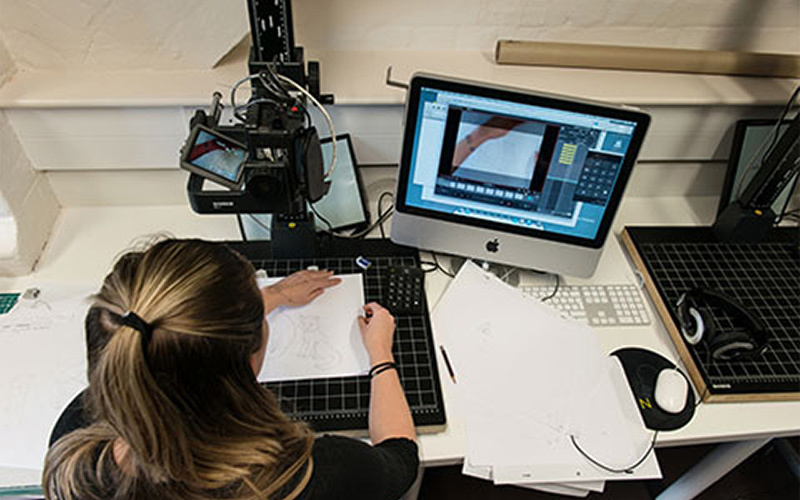 Acting and movement coach Sarah Perry has recently visited NUA to discuss her experience and to help BA (Hons) Animation students develop their skills in animation movement. Sarah discussed with students how a fundamental understanding of the body and movements in performance can be applied to the students’ own projects. Sarah has worked on a variety of major titles including The Harry Potter Series, Chronicles of Narnia- Voyage of the Dawn Treader, John Carter, World War Z and Guardians of the Galaxy. She has worked with well known VFX and Animation Studios including Double Negative and Aardman.